I really like all the little pieces that come with the Lego sets like the little cups, the backpacks etc. 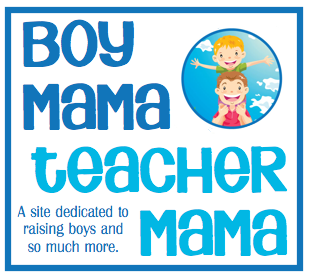 My boys love the handcuffs and walkie talkies…. I thought it would be fun to create a game using these pieces. 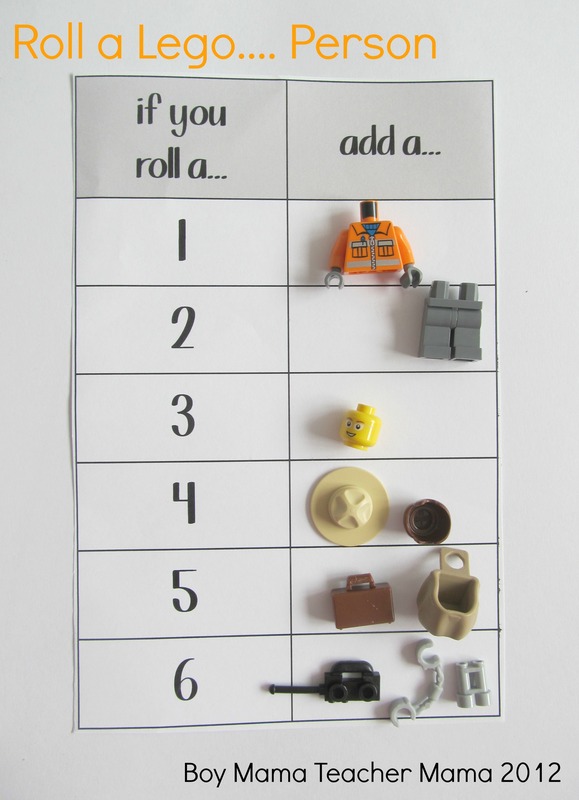 For the first game, Roll a Lego…Person, I pulled out a variety of shirts, pants, heads, hats, hair, bags and tools. 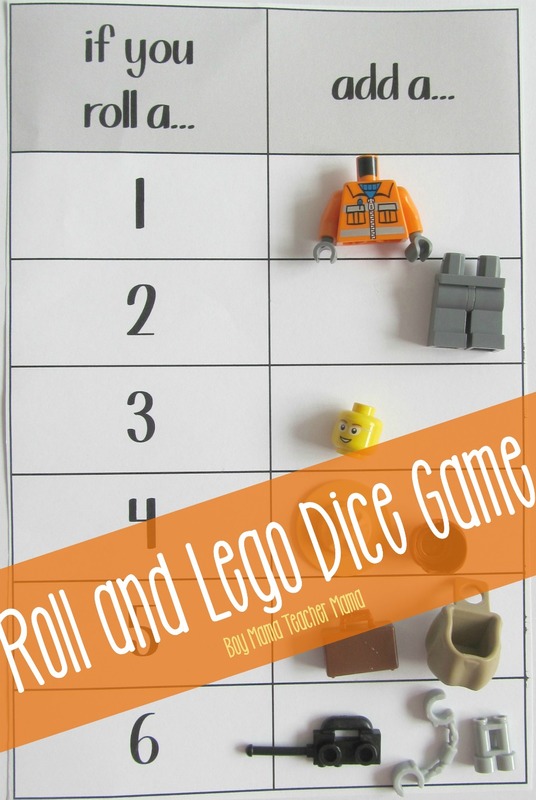 I set them up on my Roll a Lego…Person board, grabbed a die and began the game. The goal of the game is to create a unique Lego person. Player 1 rolls the die. 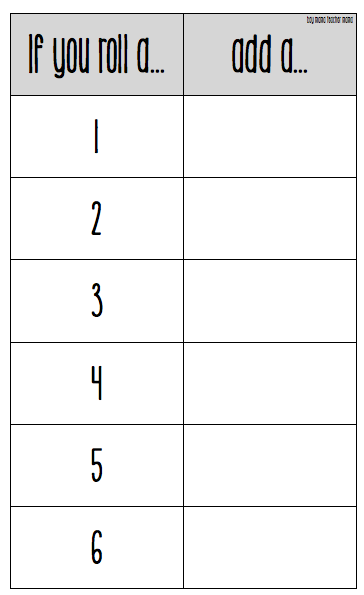 Depending on what number the die lands on, the player can choose that “person part.” For example, if I were to roll a 1, I could choose a shirt for my Lego person or if I rolled a 5, I could choose either a backpack or a suitcase. Player 2 then takes a turn. The game continues until someone has a complete person. If you want the game to be a little more challenging, make a rule that in order to collect the hats/hair, suitcase/backpack and tools, the body must be completed first. The goal of this version is to create a unique Lego vehicle. 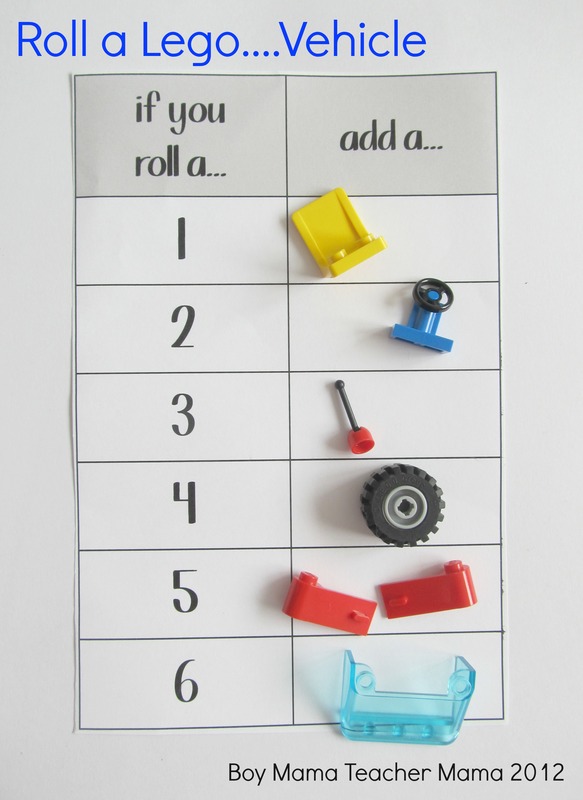 In preparation for this version, create one vehicle base for each player and roll the die to add the different parts of the car. Play the game as described above only use items such as the ones shown in the this example. 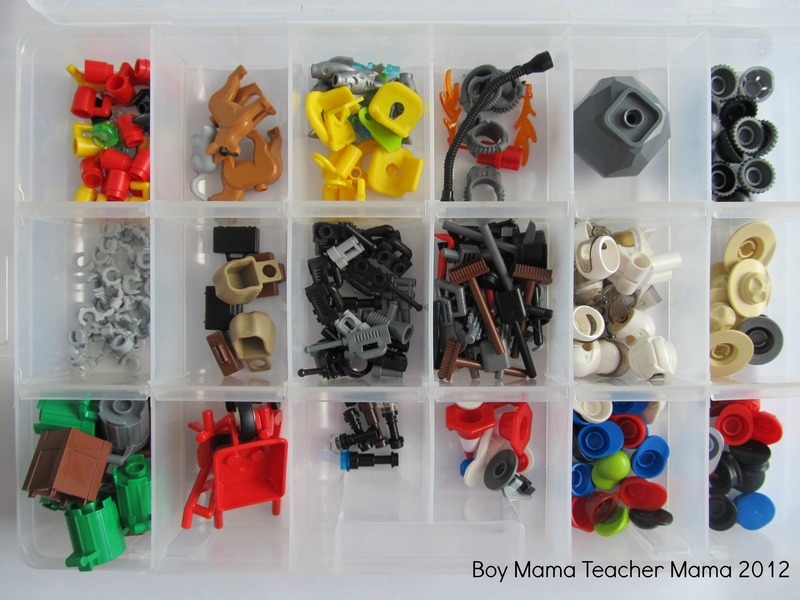 Interested in more Legos (or Duplos) ideas? Thanks for the idea! Going crazy on our 89th snow day and found this. My 6 year old is so excited!! !